You begin the first day of the tour from Bangalore which is well-known as the Garden City of India. After you arrive at Bangalore airport / station, meet our representative and leave for this royal city, Mysore. But before leaving for Mysore, make sure you dont miss paying a visit to the Tipu Sultans Summer Palace which is famous for its Indo- Islamic architecture. On reaching Mysore, check-in to hotel. Enjoy lunch and relax for some time. In the evening, visit the Brindavan Gardens which are designed in a symmetric manner and are highlighted with terrace gardens and gazebos. Return back to the hotel for dinner and stay overnight. After munching some healthy breakfast, head to the rainforest region of Wayanad. 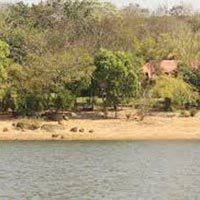 Wayanad is a place set amid the knotted jungles and beautiful valleys. After reaching Wayanad, check-in to your luxury nature resort. Spend your evening at the Pookot Lake. Forming the shape of Indias map, this freshwater lake is positioned at an altitude of 770 meters above sea level. Enjoy the tranquility offered by the place and then return to the resort for dinner. Stay overnight. Who doesnt want to wake up with the beautiful call of birds? Enjoy a nature walk, viewing the chirping birds roving across the tangled forests. Spend the entire day in the lap of nature and let your soul intermingle with its beauty. Have a comfortable stay at night. Have your breakfast and then leave for the next destination, Kabini. On arrival, check-in to the resort. 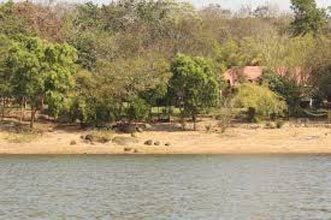 After you enjoy your lunch at the resort, go for Jungle Safari at Nagarhole National Park. If you dont wish to experience Jungle Safari, the same day, you can go for it the next day early in the morning. Enjoy the beauty of the valleys set at the backdrop of the park. After dinner, retire to your room and stay overnight. And the tour ends! Have your breakfast and then leave for Bangalore. From Bangalore airport / station, you can leave for your onward journey with beautiful memories of your trip.